Being my regular curious self, I looked at the seller’s response and then the buyer’s username, socialmedia_ex. That got me even more suspicious. So I clicked on the buyer’s name to see if they were selling any gigs. This is what showed up. While they’re not Pinterest gigs, they are offering social media services. The 94% feedback was a little weird to me so I took a look at their feedback. HOLY NEGATIVE FEEDBACK! Tons of negative feedback RECENTLY added for this gig. I looked at the accounts of the people that left the negative feedback to see if I could find anything odd. For the most part they all seem like legitimate negative reviews. The members have been registered for years and don’t have any related gigs except for mayllopl. However, I looked into some of the other gigs he rated and he has given positive reviews for similar gigs so I think his review is legit. WHAT’S THE POINT OF ALL THIS!?!? 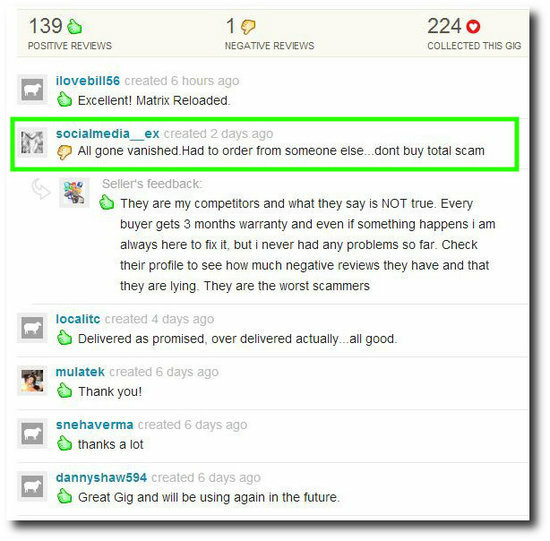 If you’re selling on Fiverr, watch out for competitors. 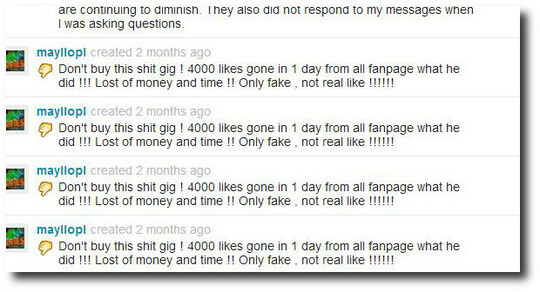 If you see that someone offering similar gigs as yours is ordering one of your gigs, be suspicious! I looked through the Fiverr discussion board and saw a few different threads on this topic. Here’s an example of one of them. It’s not 100% clear what really happened but in all likelihood one of their competitors ordered their express gig and didn’t give them the information to complete the gig in time so that they could leave them negative feedback and still get their money back. It’s extremely shady and sellers need to be on notice. Unfortunately Fiverr doesn’t have an option for sellers to straight up refuse to complete an order. You can cancel the gig mutually but that requires that both the buyer and seller agree. If your competitor is trying to sabotage you then they’re probably not going to do this. However, you could still try. Just say that it will be a conflict of interest for you to complete a gig for your competitor. Mutual agreements to cancel don’t effect your feedback score. If you don’t realize you’re being tricked until after they have ordered and left you negative feedback, you need to contact Fiverr customer support ASAP. Hopefully they can help get the negative feedback removed. Otherwise you’re pretty much screwed. At that point, your only real option is to leave a response to the negative feedback like the seller I mentioned in the beginning of the post. I hope Fiverr addresses this problem before it starts getting too out of control. I don’t think it’s a huge problem right now, but I have a feeling that more and more people will try doing it to outrank competitors. Until Fiverr does something, be safe, cautious and keep hustling! 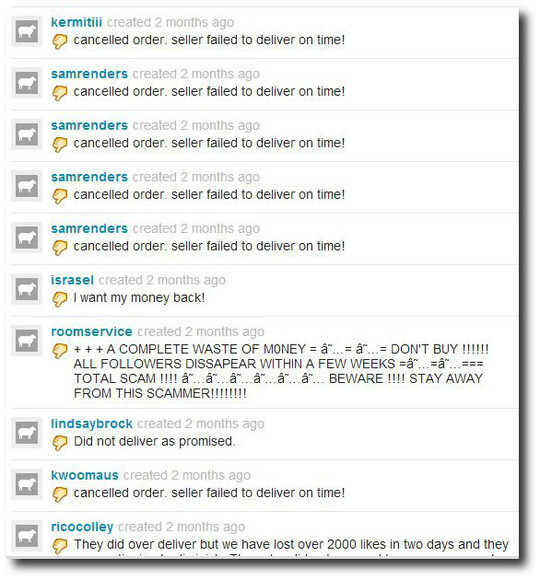 On sort of a side note, I highly encourage any Fiverr sellers to make use of the forums. I have a few gigs that I threw up on Fiverr for fun so I never really looked through it until I did research for this post. There’s tons of great information and tips there that can help sellers out. I always use http://www.fiverr1.com i don’t have problems there, but i think problems about victim of competitor sabotage can be averywere Fiverr SEOclerks Fiverr1 …… so take care if you are selling services or let’s call them Gigs or Micro jobs.